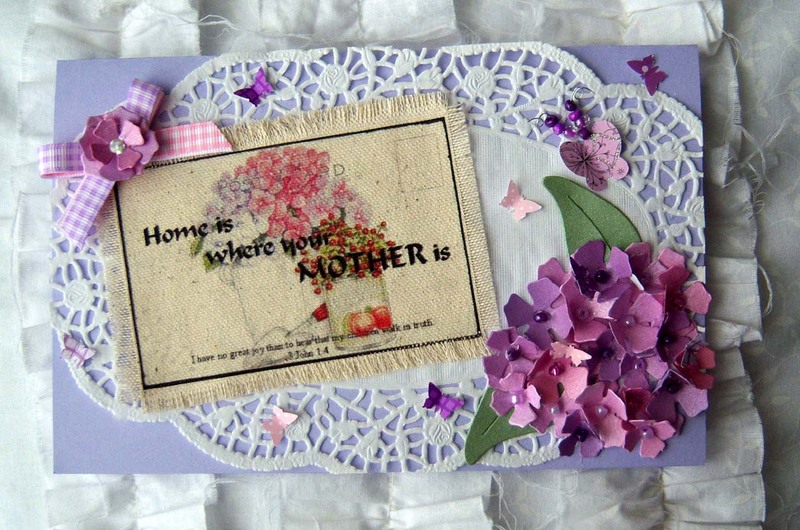 Here's my last Mother's Day card -- the one for my mom. I made my own paper for the flowers using my homemade glimmer mist. I misted white, purple, and pink paper with pink and purple glimmer mist. Then I dried it using my heat gun and cut out the flowers with the build a lilac die. You lived them in your heart. You shaped this soul of mine. Stunning. And I love the poem! What a lovely card - and the poem is beautiful. I am going to check out your home made glimmer mist. Such a stunning card. I love your flowers and the use of the doily adds to the vintage feel. That is an awesome poem as well. WOW! 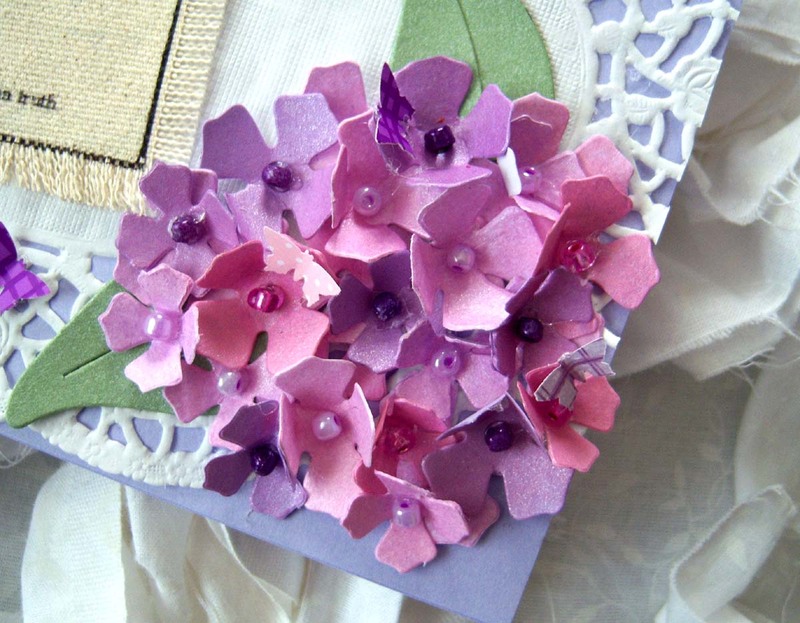 so many delicate details in your flowers! It's perfect for this beautiful card!